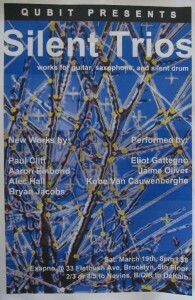 Silent Construction 1 (2008-9) for Silent Drum | para Tambor Silencioso. Flotante (2007-8) for percussion, gestural video tracking and live electronics. 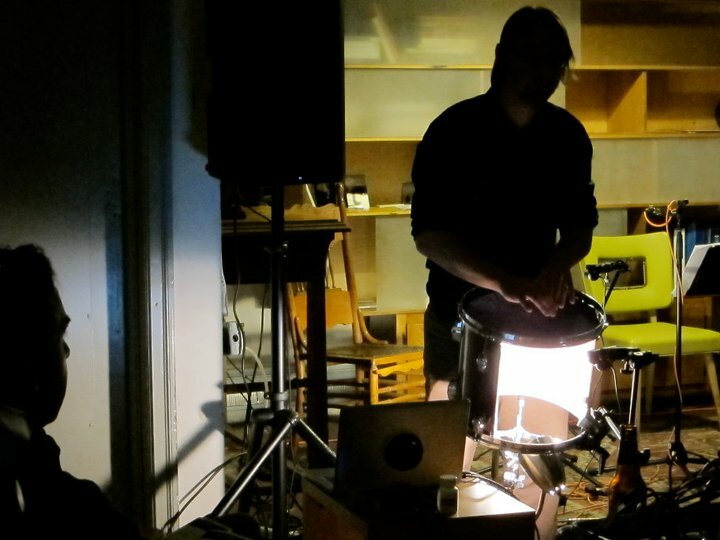 | para percusión, seguimiento de gestos con video y electrónica en vivo. 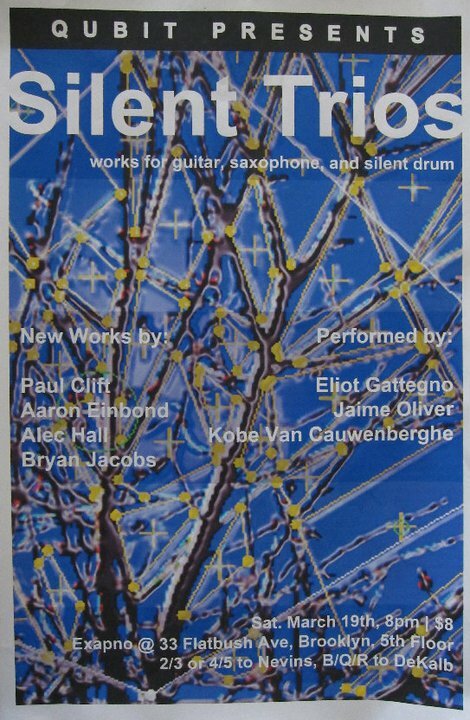 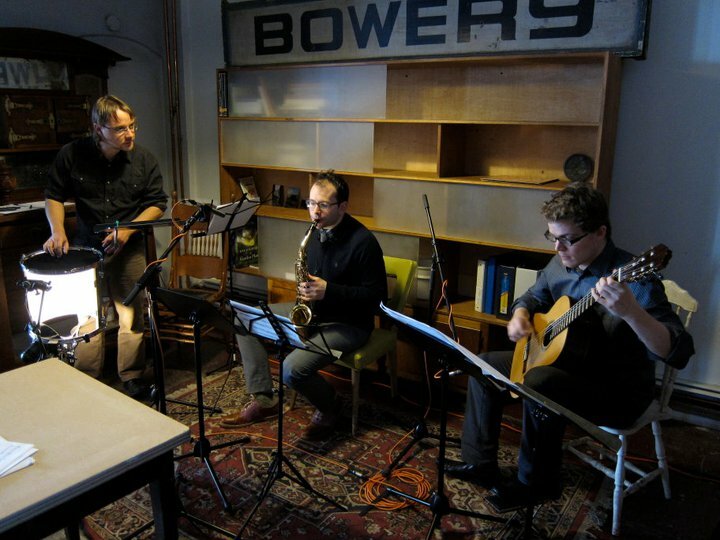 1. for Silent Drum, Saxophone(s) and Guitar(s) from the Silent Trios Project organized and curated by Qubit. Performed in 2011, with Kobe Van Cauwenberghe and Elliot Gattegno at EXAPNO, and in 2012 in Boston and Montreal.